In honor of a great tradition, I wanted to make sure to write a post on one of my favorite events in Baton Rouge: Ford Family Tailgating's Tequila Night! For the LSU vs Auburn game FFT held their 11th annual Tequila Night at the front steps of the Electrical Engineering Building. Before I get into the booze, I would like to give a special shout out to the some FFT desserts. 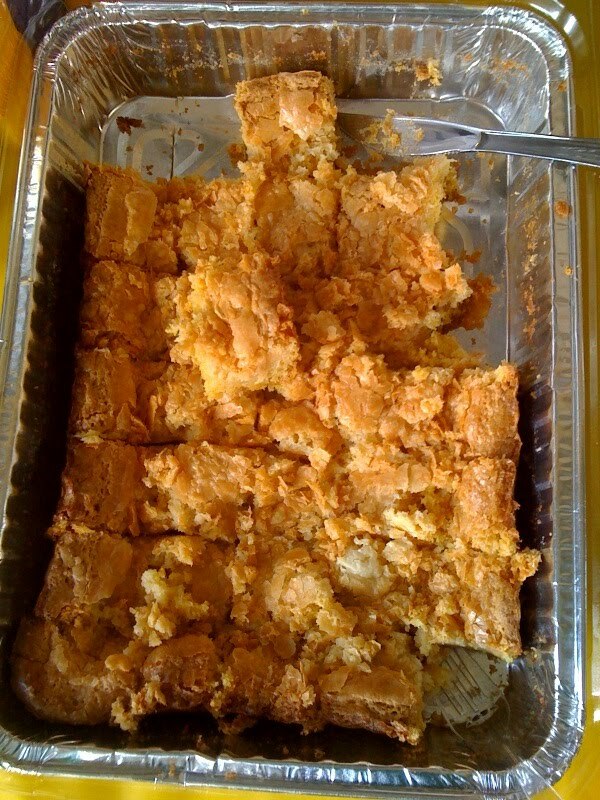 Mama Ford's Famous Ooey Gooey... One Corner Piece Left. Dibs! The most famous FFT dessert is Mama Ford's Ooey Gooey. This pan of edible joy contains two layers of simple and extremely delightful sweet tooth fixers. The bottom layer is pretty much yellow cake mix and butter while the top layer has cream cheese and powdered sugar. I'd hate to give away all the secrets here, but you should know that Ooey Gooey is pretty amazing. If you ever want a taste, come tailgate at FFT and I'm sure you can get some... but come early if you want a corner piece with a crispy crust around the gooey middle! 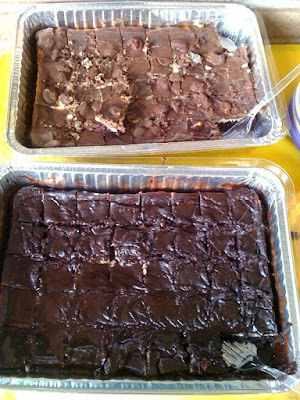 In addition to the Ooey Gooey, FFT also provided two trays of scrumptious brownies for the party. The top brownie pan is an Almond Joy creation complete with chocolate, coconut, and almonds. On the near side we had brownies with extra chocolate and then even more rich, creamy chocolate on top. Both were dynamite! I know it was tequila night, but thirst must be quenched in between shots of distilled agave. Answer: good old genuine, American (Belgian owned) hops, barley, yeast, and pure spring (tap) water all brewed together in perfect harmony, with tons of rice for filler, oops, I mean "flavor", of course. 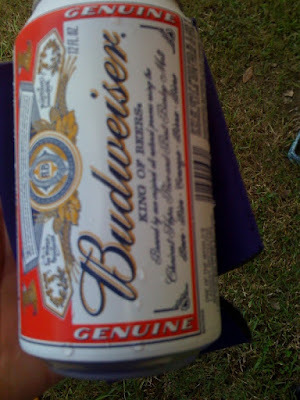 Delicious, crisp, clear, refreshing Budweiser... still the King of Beers after all these years. Tequila Night always brings out a fantastic selection of tequila. Of course, some joker always brings a handle of Cuervo, but its ok because we can distribute it to the minions. Jeremy Ford always brings the top shelf tequila that I just have to sample. The shots begin at 10:00 a.m. and continue every half hour until almost game time (which in Baton Rouge is usually around 7 p.m., not noon like the silly people in other parts of the country). Eric set a new record by consuming 21 tequila shots throughout the day while drinking beer in between and, surprisingly to most, was still standing at the end of the day. Overall the day was a tremendous success. Collin Ford gave me a ticket to the game, LSU beat the crap out of Auburn, I got a corner piece of the Ooey Gooey, and the tequila never stopped flowing. 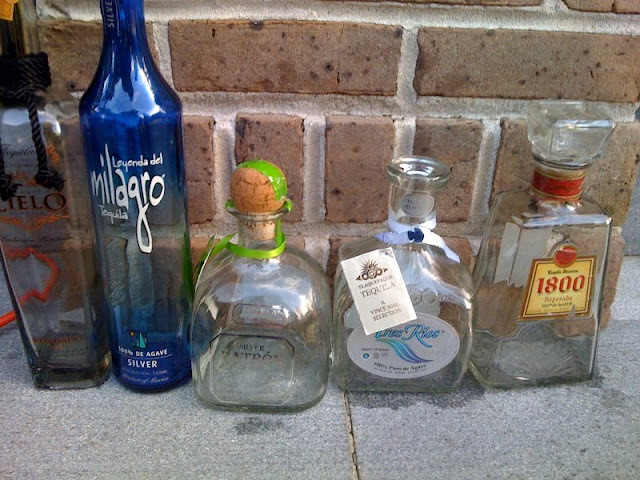 I can't wait until next year's Tequila Night Twelve, the Doce!